The biggest mistake made with workshops is cramming too much in. If we genuinely want people to develop new skills and knowledge which they can apply after the workshop use the KISS principle. Workshop developers often seem to think they must impart as much knowledge as possible in the shortest time frame possible, agendas are packed so full that by morning tea we have forgotten what was discussed first thing that morning. When planning workshops I like to use Bennetts Hierarchy, it provides a useful framework to refer to when you are developing the agenda. I have simplified and modified Bennetts to make it practical for me. Outcome – what is the intended outcome of the workshop, what is the big picture we are aiming to achieve? Gaining clarity about your outcome will help you design the right approach. Are you building skills or is your session about creating awareness? 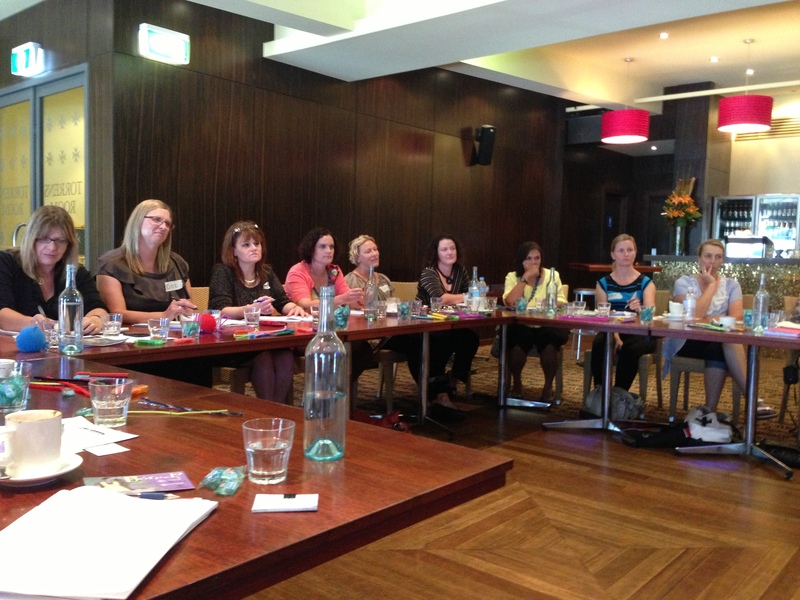 Practice change – what do we want people to do differently as a result of attending our workshop or session. What tangible measurable change do we want them to make. a. Knowledge – what knowledge is essential for the outcome and practice change. Lets not overwhelm people with everything we know and try to pump them full of every bit of knowledge on the topic we have collected over a lifetime! The trick is to make it simple to understand and impactful – provide links to extra information for the data hungry person, provide books for people to look at, and keep the information provided simple, easy to understand and apply and useful. What do they really really need to know! b. Attitudes – this refers to the feelings/attitudes we are generating in the learning journey. What feelings do we want to create – confidence to make the change and meet the outcome, a positive, open approach to learning, a can do attitude? c. Skills – the hands on doing. What do we want our participants to be able to do as a result of attending our workshop? How competent do we want them be when they leave to implement their learning’s? Remember knowledge doesn’t always lead to practice change where as skills development can. d. Aspirations – what motivations do we want to instil in our participants. How do we want them to approach the practice change once they leave the workshop? Activities – once we have thought through these steps then we can start to think about the best activities to achieve our practice change while keeping the KASA in the front of our minds. Resources – what resources do we need to complete our workshop activity; this can include our facilitation kit, venue, speakers, funding etc. These are the tangible requirements, which will make the workshop a success. Now you have determined the knowledge and skills you would like participants to have and the activities to achieve the practice change the next step is to plan the agenda and think about the time frames required.